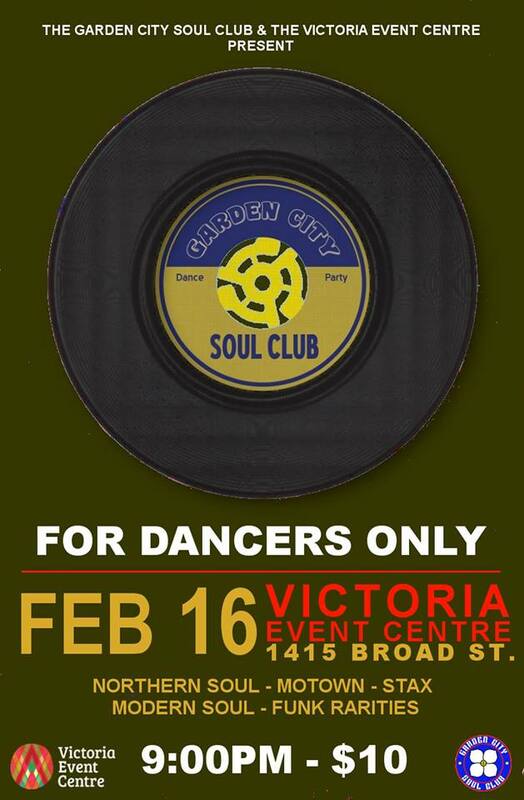 This Victoria’s longest running vinyl only Soul and Funk night, and we are set for another fun night of dancin’ at the Victoria Event Centre! If you have never been to one of these events let us give you the low down. This is a floor fillin’, soul shakin’ DANCE PARTY! We are constantly digging up new tracks for your dancing pleasure. We play Northern Soul rarities, Stax and Motown classics, Modern Soul bangers, and Funky floor fillers. If you would like to request songs please feel free to post your requests on the event page and if we have those fine slabs of vinyl we can pack them with us. Doors and Music will be at 9pm. $10.00 dollars at the door. Coat check is made available.